Sometimes, when visiting a new stall or hole in the wall, I just have to close my eyes after the first spoonful, realizing the old school superiority to most new slurps or bites in town. And Zaew in 1/5 Sukhumvit Soi 49 is one of those odd spots delivering far beyond expectations. I just need to eliminate the surroundings, to concentrate on what is put in front of me. The broth is still swirling in my mouth, like excellent wine, I smile before I swallow. Then I start again, after adding the condiments; chili, lime juice, sugar, a few drops of fish sauce and crushed peanuts. Then another taste, this time combined with perfectly cooked noodles. I can conclude what I already knew; heavenly, once again aware of someone contributing to the good things in life. Zaew! It’s worth an exclamation mark. It’s worth a visit even if your not in the the area. The other visitors might have thought of me as a smiling lunatic, but it doesn’t matter. I have just been served happiness in a bowl, filling me with pure pleasure. How can I not smile. The explosion of tastes that hit my sensors are close to perfection. I swallow before lowering my head once again, the next mouthful. The next dose of happiness. At Zaew, the broth, the minced pork balls, the liver, the noodles, it all comes together. They have a variety of noodles and toppings to choose from. The noodles range from sen yai (wide noodles made from rice flour) to sen lek (thinner, flat noodles made from rice flour), ba mee (yellow egg noodle) and wunsen (glass vermicelli noodles made from mango beans). I now have 5 visits at Zaew under my belt, over two weeks. On my third visit, the quality wasn’t on top. The broth was the problem, it lacked concentration. I think it has to do with the fact that my third visit was just before closing time. This is not an uncommon issue in Bangkok. Soups sometimes lacks concentration when heading towards the closing hour, as they just add water to make sure they have enough. Returning at lunch time on my fourth and fifth visit my concerns was forgotten. I therefore recommend to go there lunchtime. As always with tom yam spots, you can choose whether you want your dish dry or with soup. Zaew also have other dishes , including a good yen ta fo (with fish balls) – the pink soup, but it is the tom yam pork noodles that shines the most at Zaew. Yen Ta Fo is a completely different dish where focus is on fish balls etc. 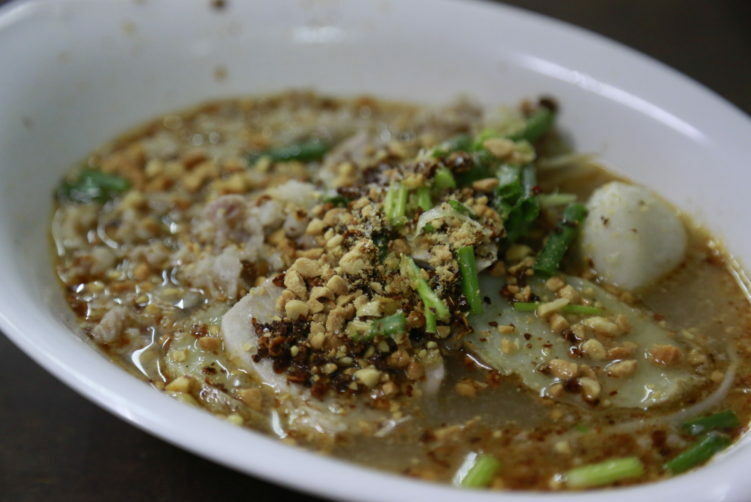 It’s a very decent bowl, but you have better spots not to far away, for example at Guaythiew Pik Gai Sai Nampung in 392/20, a small alley between Sukhumvit Soi 18 and 20. Asking for tom yam without any more explanation gives you the regular combination, meaning you leave it up to the chef to decide. You can also customize your bowl with any combination you prefer, with toppings running from fish balls, yellow shrimp balls, fish sticks, sliced pork, minced pork and quite a few others. On the table you also have small bags with either crispy pork rinds or crispy fish-skin chips as an add-on. Sprinkle them on your noodles and they give a new dimension to both the taste and the texture. The service is friendly, but of course it takes time as the place is filled up with a waiting line during lunch hours. Zaew has been in the business for more than 30 years, starting out as a general merchandise store, before moving over to what it it today. A very good hole in the wall with one of the best tom yam bowl, if not the best, in town. Be aware that there is hole in the wall with the name Saew between Sukhumvit Soi 55 and Soi 57. 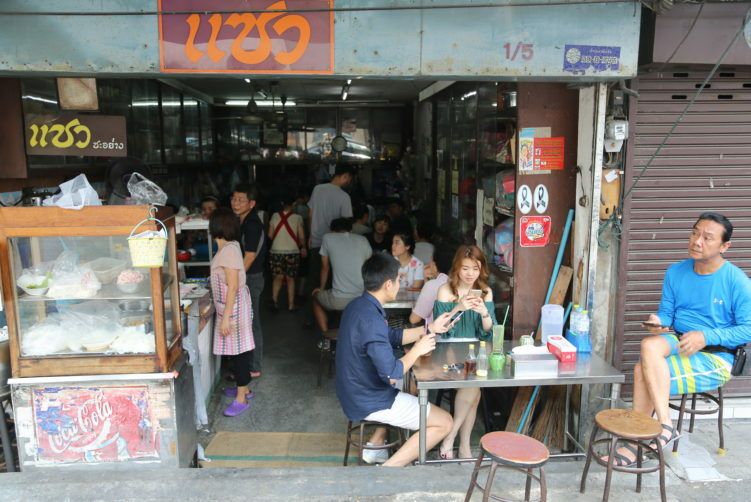 They also sell a very good bowl of tom yam noodles, but not as good as Zaew in Sukhumvit Soi 49.
viagra without prescription Name: Zaew (or Saew). 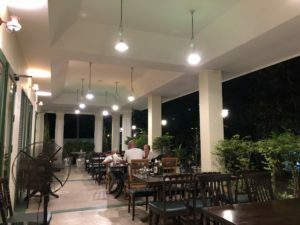 A good friend of mine, running the Thonglor Travellers’ Hostel and cafe’ on the doorstep of BTS Thong Lor, say it’s correct to write it with Z and not S.
How to get there: Take the BTS to Phrom Phong station or Thong Lor station and walk from there. Enter Soi 49 and walk for another 50 meters. You find Zaew on the left side. The tom yam soup with minced pork etc at Zaew in 1/5 Sukhumvit Soi 49 is a fantastic bowl, really worth a visit even if you're not in the area. Be aware that the close 4 pm. See full review at StreetsideBangkok.